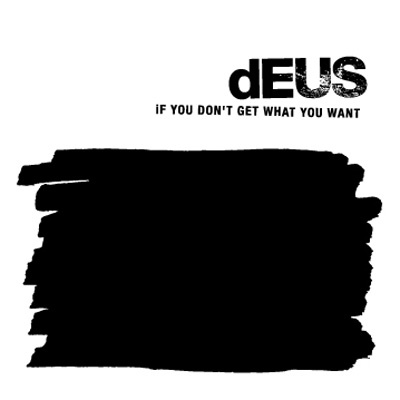 If You Don’t Get What You Want was first issued on dEUS.be’s own online music store (now offline), on August 6, 2004. It was very much an experiment for dEUS, a teaser for the fans right before the 2004 summer tour. Impatient fans meant that the server crashed within minutes of the mp3 release. Universal Music wasn’t too happy about this little adventure. Contrary to the iTunes and other releases, this came with complete DIY artwork in high-quality PDF files, and was encoded at a high 256 kbps rate.